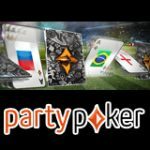 The new Party Poker Click & Go promotion offers players the chance to win cash, bonuses and tournament tickets every week. 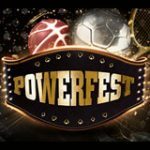 Players are given click scratch cards after earning at least 5 PartyPoints during the week playing any poker games or casino games on PartyCasino. 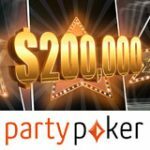 Each week of the promotion there are 10 tournament tickets to be won for the weekly PartyPoker $200K Gtd Sunday tournament. Players are limited to claiming only one click card per week by completing the simple point earning requirements. 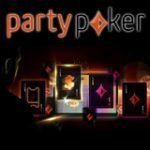 Opt-in for the Party Poker Click & Go promotion earn the point requirement and you could win entry into PartyPokers biggest guaranteed tournament every week. Play your favourite poker and casino games and earn 5 PartyPoints between Monday and Saturday, get a click card on Sunday and see if you've won a tournament ticket to the $200K Gtd Sunday tournament. 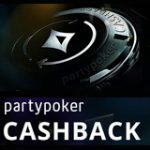 Each Party Poker Click & Go scratch card has a guaranteed prize so players won't be left empty handed, prizes include cash, bonuses and tournament tickets. Players can monitor their point earning progress through the promotion page of the poker or casino lobbies. Click cards must be claimed on Sundays, all unclaimed cards will no longer be valid. Players that receive bonuses from their click card must complete the wagering requirements to release their PartyPoker bonus. 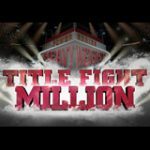 New players can participate in the promotion by signing up and making a first deposit of at least $10 to become a real money player. See the table below for bonus codes, bonuses and download links for specific countries. 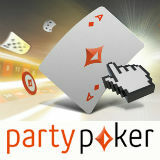 The Party Poker App for Android, iPad and iPhone is also an option for players who use mobiles and tablets instead of a PC. Play cash games or FastForward poker games on Wi-Fi, 4G or 3G networks.